April is only a day away from being officially over and the month didn’t disappoint anglers looking for action. We had the opportunities to catch a 150lb Tarpon all the way down to Snook, Reds and Trout. All in all it was a very good month to fish Estero Bay and Fort Myers. May should be more of the same with the Tarpon action getting even better since typically May has less winds then March and April. My most recent trips have been for Redfish and Snook and we have been doing pretty well. Yesterday started out looking not to promising with winds kicked up and the rain pouring down from an approaching cold front. Luckily for my anglers they were willing to tough it out and try and get some fishing in. 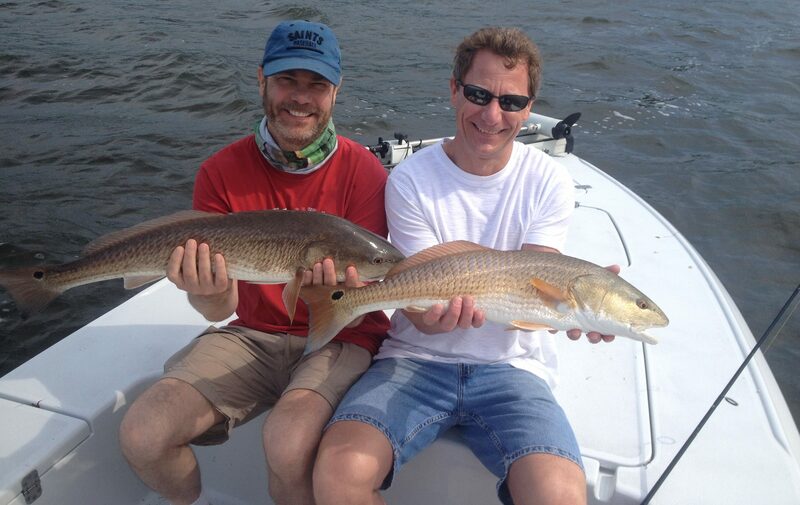 We did very well on Reds Snook and even a few good size snapper. Pre-frontal conditions as long as it’s safe can be very good fishing. The fish can feel the drop in barometric pressure and alot of times it puts them in feeding mode. I wasn’t able to get out offshore for bait since the wind had the Gulf chopped up pretty nasty but it didn’t matter yesterday. The fish ate everything from cut bait to shrimp and they were not picky. Time will tell what the effects of the cold front will be on fishing but typically it slows it down for a few days. If the water temps drop, a good rule of thumb is to “fish slow” and use baits that dont require alot of effort from the fish trying to feed i.e. Shrimp, or any artificial bait that looks like a shrimp or crab with a slow retrieve. Once it warms back up the fish will once again be on the “chew” so look for fishing to improve the entire Month of May!